Shine bright on every workout in Swiftwick's VISION One Spotlight. 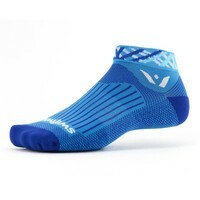 Swiftwick gives a percentage of sales from each VISION sock purchased to charitable initiatives. Perfect socks for cycling or running.